Cruise broker AdventureSmith Explorations, www.adventuresmithexplorations.com/, the active travel company that secures matches between adventure-seeking clients and a treasure trove of small, expedition ships, announces re-configured Australia cruise itineraries made possible by a fleet of three small ships carrying only 46 (Coral Princess), 50 (Coral Princess II) and 72 (Oceanic Discover) passengers. Their sizes mean that the ships can maneuver hard-to-reach points of interest such as the Great Barrier Reef that larger vessels can't. "Smaller boats mean more activity for guests," said Todd Smith, founder and director of AdventureSmith Explorations. 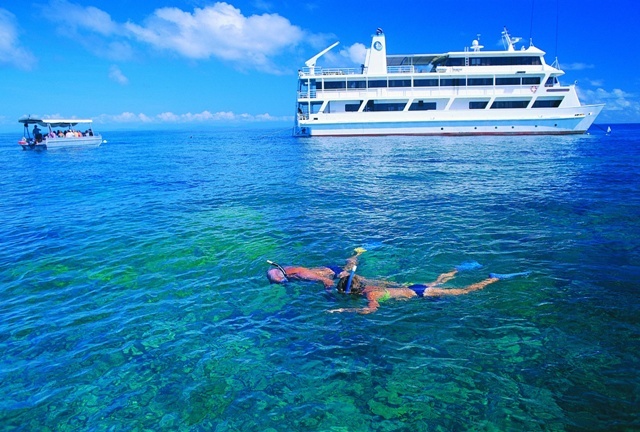 "It is a lot easier to get 46 snorkeling-bound passengers onto the reef than it is to get 100 there. Plus Coral Princess has more experience as a dive/snorkel operator, having pioneered reef cruising in the region." "According to Tourism Australia, it continues to be one of the hottest destinations in the world with 2010 visitors increasing by 6% over 2009. One of the hottest trends seen, Australia small ship cruise business has increased an impressive 30% each year for the past two years. Tourism Australia anticipates an even larger increase in 2011," said Smith. Smith said that the fleet makes available "Explorer," an awning-draped aluminum excursion vessel used for landings and extensive exploration of King George Falls and secluded rivers. The company's mission is to give back to the individuals, communities and environments touched by AdventureSmith Explorations trips by connecting travelers with a network of grassroots and global nonprofit partners worldwide including the Alaska Natural History Association, Neotropica Foundation and Galapagos Conservancy. The company was named by National Geographic Adventure as one of "The Best Adventure Travel Companies on Earth" and is the recipient of Conde Nast Traveler's prestigious "World Savers Award."